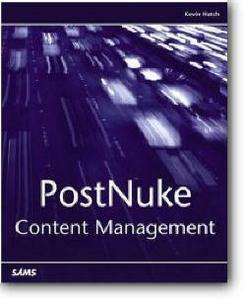 PostNuke Content Management is a practical, application-oriented guide to building content-driven websites and portals with the PostNuke package. Website developers will find that this guide will help you get your website up and running quickly. You'll learn how to install and setup PostNuke and use it to build fully-customizeable content-focused websites. Each section will take you to a new level of site development and will teach you tips, tricks and hacks to customize the function and interface exactly for your specific needs. Author Kevin Hatch maintains a popular PHP and PostNuke online tutorial and is an experienced PostNuke user, so you are sure to get thorough PostNuke information through this book.